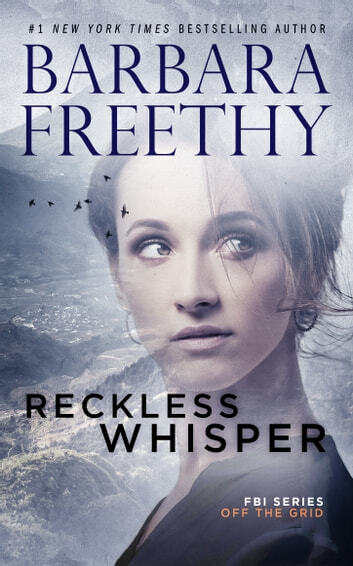 In RECKLESS WHISPER (Off The Grid: FBI Series #2), the suspense continues with the second standalone novel in a new romantic suspense series by #1 New York Times Bestselling Author Barbara Freethy. FBI Special Agent Bree Adams has a personal secret, something she has managed to keep hidden for the past ten years-at least she always thought so… But a chance encounter on a train, and whispered words of chilling consequence change everything. Is the truth about to come out or is someone playing with her mind and her life? Nathan Bishop knew Bree when she was a street kid like him. Their dark past once put him in her debt, and he had to pay up. The last thing he wants to do is help her again. He has a new life now—a life he could lose with one wrong move. But the beautiful Bree is desperate—how can he walk away? To get to the truth, protect innocent lives and their own, they'll have to fight their way through the past, as danger stalks their every move, and heartbreaking choices must be made. Don't miss this emotionally deep and haunting story! A thrilling psychological romantic suspense novel! Desperate Play #3 - Coming Soon! Elusive Promise #4 - Coming Soon! Dangerous Choice #5 - Coming Soon! PRAISE FOR PERILOUS TRUST - 1st book in series! Really enjoying this series...........Barbara Freethy never disappoints. A nice mixture of suspense and a romance in the background - but it's how it all unfolds that keeps you guessing. Hope there are more to come in this series. What a fantastic suspenseful thriller that will keep you on the edge of your seat from the first sentence. I was instantly drawn into the book, not wanting to put it down. Bree is introduced in the previous book and I could tell she was a strong willed, independent woman. As she is forced by a pyshco to travel back in time and relive her past and ugly childhood it is even more amazing to see how she overcame everything and became the woman she is today. Her and Nathan are perfect for each other. He has always looked at for her and that hasn't changed. The bond between them is as strong as ever and the chemistry is off the charts. Every time I thought I had figured out who was behind it there was a twist that I didn't see coming. Great book, looking forward to the next in the series. I voluntarily reviewed an Advanced Readers Copy of this book. 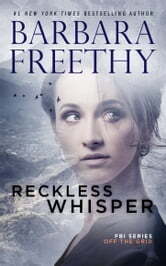 ARC for honest review with no compensation Reckless Whisper is book 2 in the Off the Grid: FBI series by Barbara Freethy that is filled with suspense, intrigue, secrets and revenge that keeps you on the edge of your seat and turning the pages to find out what happens next... FBI Agent Bree Adams is called back to Chicago to help with a missing child case that seems to have the same characteristics as a case she just worked on to bring another missing child back home. Only thing is she thought she would never return Chicago, her past, people she thought never to see again and a long kept secret. Is this just about a missing child or is some messing with Bree? Can Nathan, a man from her past who helped her leave Chicago with her secret, now help her to find the missing child and keep her secret or will the person who is pushing her buttons expose everything and destroy a child's life in the process??? I enjoy everything I've read writtem by Barbara Freethy and her new series FBI Off the Grid is great. This is only the 2nd book in the series & I'm wishing the 3rd one was already out.